What can I say, I loved it. 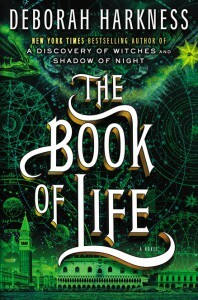 Deborah Harkness has woven and wonderful story that pulls threads from the other two books and brings everything full circle. This book was more like the first book for me which I absolutely adored by the way. It is not as world sweeping as the second book but there is still plenty of travel. 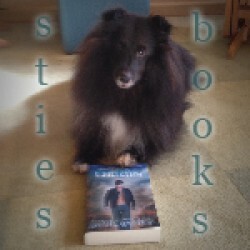 We meet up with some characters from the past ( chapter 18 made me cheer) and some characters we only heard about in the other books have important roles in this one. We make some new friends and solidify who the real enemies are. There are plenty of surprises in this book that will not allow you to set it down. This is an elegant book that is intelligently written with a lot of heart. Diana and Matthew are two characters I will always love but my heart breaks for Gallowglass; I adore him too and so will you.